If you are a recent owner of a small business, congratulations to you on taking the plunge! As you probably know, you wear many hats as a business owner and sometimes not all those hats are what you enjoy. However, all of them are important! Proper accounting procedures is one that remains at the top of the list as extremely necessary to the success of your business. Whether or not math is your strong point, you can keep the accounting side of your business extremely accurate by putting basic practices into action. Basic accounting tracks how much you make and how much you spend. Bottom line, we hope the income outweighs the spending! At the beginning of a business venture, that may not always be the case. However, it is very important to make sure your business is profitable and this can only be done through accurate accounting. Cash basis – When you use the cash basis system, you enter earnings and income into books as soon as the sale is made regardless of whether or not you have received the payment for the sale. Accrual basis accounting is entering invoices and sales when money is actually received and you enter debits when you pay the vendors and suppliers and all other bills. According to the US Chamber of Commerce, the accrual method gives you a more accurate financial status of your company. Small business has the option of which one to use but large businesses must use the accrual system according to the IRS publication 538. Balance Sheet – This is a necessity because it shows a financial summary and overview of what the financial health of your business looks like. By looking at the balance sheet, one is able to see easily if your business is generating a profit or not. Also, a balance sheet helps make filing tax returns much easier. Keep all documentation – When in doubt…don’t throw it out! Keep all receipts and documentation that contains amount spent, the date etc. 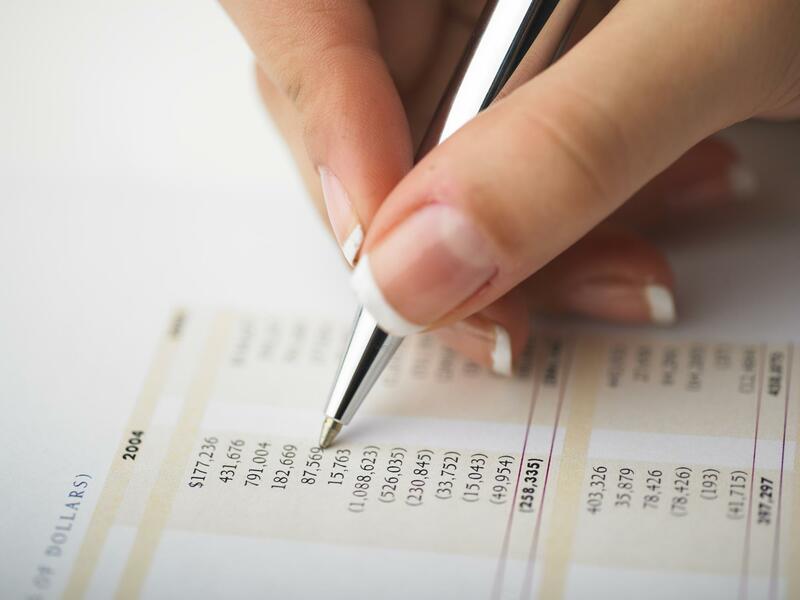 General Ledger – this is the equivalent of a checkbook for your business. All of your income and expenses should go in here. Small businesses have the option of using a periodic or a perpetual inventory system. A perpetual system keeps on hand inventory count at all times whereas a small business that uses a periodic system generally takes inventory once or twice a year. It is vital to keep an excellent record of accounts payable and accounts receivable. There is more that can be learned about accounting practices for your small business but these are good basic suggestions to help you find your way into proper financial techniques! If you are interested in learning more information about small business, forming an LLC or any other business information, please continue to browse our blog and knowledge center.